On the second weekend of every May, people from all around the world honour the women in their lives and celebrate Mother´s Day. The day applauds the maternal bonds we have with not only our mamas, but the relationships we have with our grandmothers, aunts, sisters and the women who surround our everyday lives as well. The powerful influence of maternal figures is sometimes eclipsed by our patriarchal culture that tends to confine a mother´s role to the domestic sphere. Today we recognize the women who held us in their arms as we took our first breaths. The women who continue to cheer us on through every milestone. The women who spend countless hours worrying about us (sorry mum). The women who gave us life. Today, it is all about our mothers. I sat down with TRAMA Textile´s president, Amparo de Leon de Rubio, and vice-president, Oralia Chopen to have a conversation about motherhood. 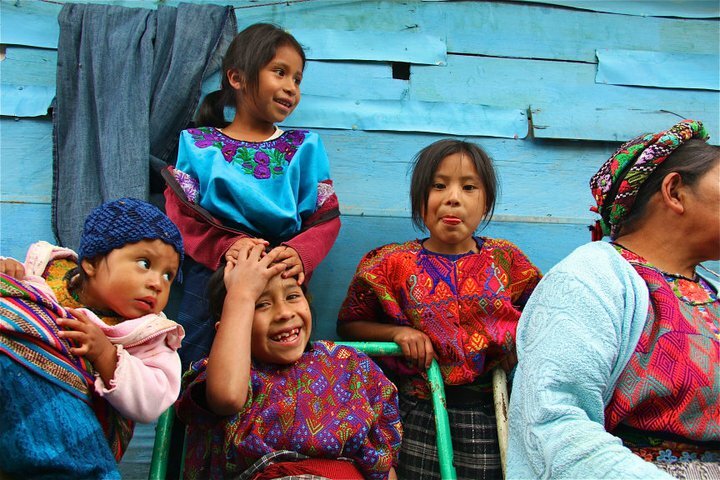 Both Amparo and Oralia have three children; however, the two women are maternal figures to many of the workers and volunteers at TRAMA Textiles. 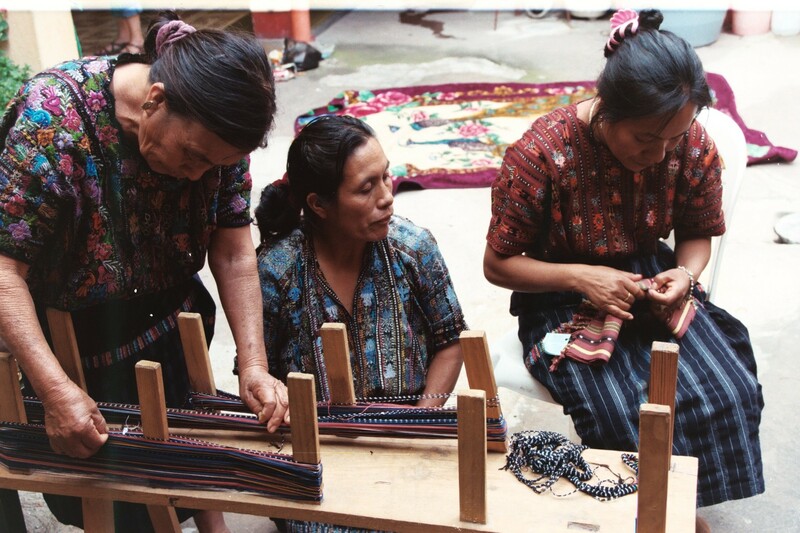 They are a giving life source to TRAMA´s four hundred weavers and embrace the role of women in Guatemalan culture. What feelings did you have when you gave birth to your firstborn? Amparo: I was very nervous because I didn´t have access to a hospital. I had to give birth in my house and was scared because I was sick the entire pregnancy. I was in labor for six days and when I gave birth to my daughter, she was only four pounds. I remember being so happy when I held her for the first time. She was from me and she was a part of me. She was mine and I felt so much love for her. I was scared because she was so small, but my daughter is all grown up now. She isn´t tiny, she´s rather big now. Oralia: I was so excited to have my first baby. I always wanted to have children and when I was young I would dream about my future babies. I knew I wanted to be a mother. I was nervous, but when I held my first son in my arms, I couldn´t stop crying with happiness. 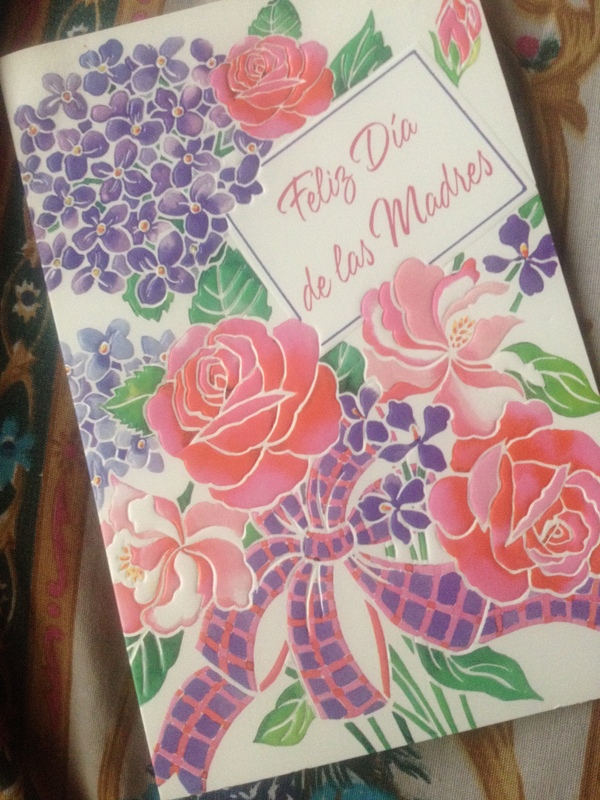 I remember the first Mother´s Day card he gave me – I cried a lot then too. What did your mother teach you about motherhood? Oralia: My mother taught me everything. I was twenty-three when I had my first baby, but my mother was only twelve. She had to grow up very fast. She taught me how to cook for the children and what to do when they were sick. The relationship between a mother and daughter is different than the relationship between a mother and son. We understand each other more because we have the same struggles. My mother taught me how to weave and that´s my life now. I am teaching my daughter to weave and one day she will be a part of TRAMA. What moments are the most difficult in motherhood? Amparo: I was always scared when my babies were sick. It is hard when you live in a village and there aren´t any hospitals or doctors. Whenever my children were sick, I would pray that they wouldn´t die in the night. Oralia: It is the most difficult when your children are sick and you don´t know what to do. There isn´t extra money for medicine and sometimes it can be serious. It is also hard for me when I can´t give my children all the attention they need. I have to work to provide for my children, but I miss out on some things. What moments are the most rewarding? 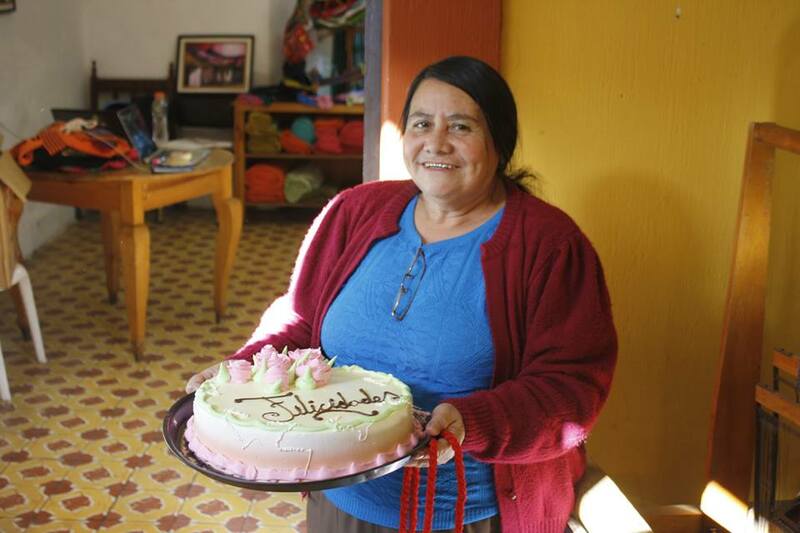 Amparo: I love celebrating my children´s and grandchildren´s birthdays. I throw a big party and we have all our family and friends over to my house. It is so nice to celebrate their lives and watch them grow up. They are so excited on their birthdays and it makes me happy. Oralia: I like talking with my children. When they come home from school and they are doing well, it makes me very happy. I am just happy when they are happy. What do you wish for your children´s futures? Amparo: I want them to work hard and to be happy. I want them to find time to enjoy their family. I want them to help each other and love each other. Oralia: I want good luck for my children. I don´t want them to suffer like I did when I was young. I want my children to help those who need it – there are a lot of people suffering in Guatemala and they need help. I want my children to be good people. And I really want my children to give me grandchildren. Amparo: I want mothers to have their babies with a doctor or midwife. It was terrifying for me to have my first baby without one. It is important to respect your children as individuals and to let them make their own decisions. I want to tell future mothers to wait between having children. I waited four years between each child and it was nice to give each baby special attention. Oralia: Babies are so beautiful – you have to love them a lot. You also need to let them have their own space. I want mothers to make sure the fathers of their babies are good men. Children need good parents. In the villages, the fathers sometimes only give attention to their sons and forget about their daughters. You can´t give priority – you have to love equally. 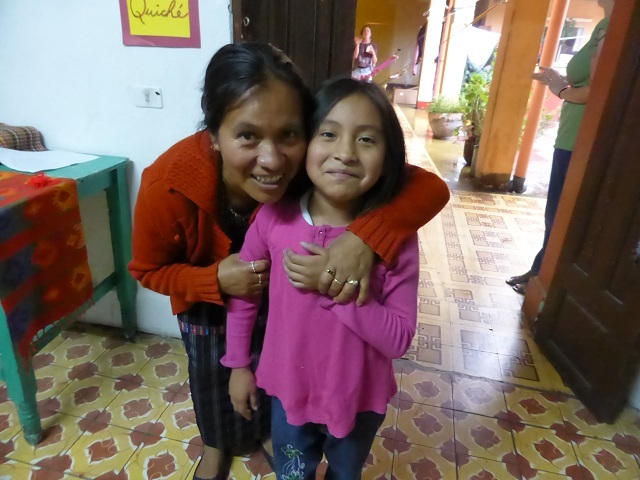 Amparo and Oralia have created a community of mothers, grandmothers, sisters and daughters. TRAMA Textiles embraces the female spirit by empowering women through weaving. The weavers of TRAMA are a family of incredibly strong women. This Mother´s Day, we salute the women of TRAMA Textiles and celebrate the dedication from all the hardworking women in the world. 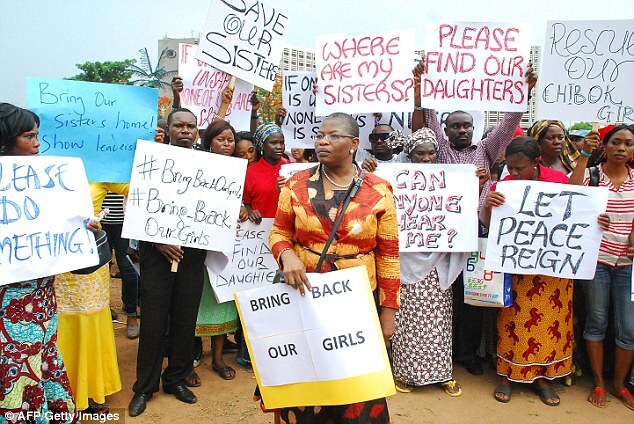 This Mother´s Day, we pray for the safe return of the 276 missing daughters from Nigeria. We are all in this together. This entry was posted in Uncategorized and tagged bringbackourgirls, female spirit, Guatemala, Mother´s Day, weavers, women. Bookmark the permalink.